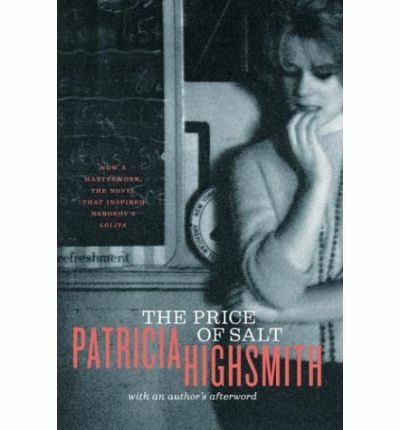 Today is Patricia Highsmith day on Forgotten Books. Here is my entry. 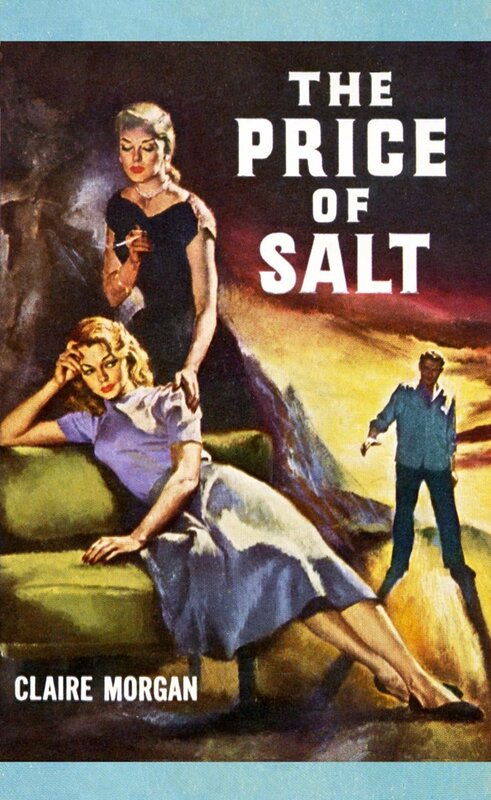 In the afterword, Patricia Highsmith talks about the genesis of THE PRICE OF SALT. It was 1948, STRANGERS ON A TRAIN had been sold but wouldn’t be published until 1949, and she was in need of funds. She took a job in a department store during the Christmas sales and they placed her in the toy department, specifically the doll section. An elegantly dressed blond woman came in to buy her daughter a doll. it started the juices rolling and she began work on the novel that night. The job didn’t last because she caught chicken pox, likely from some child looking at the dolls. That it was novel with lesbian themes and had a happy ending didn’t set well with her publisher. They wanted another suspense novel, she was a suspense writer after all, and they rejected it. It was published under the name Claire Morgan and received a few good reviews, but really took off in paperback, selling a million copies. The two women are Therese(pronounced Terez) Belivet, a lonely young woman working in a department store, the doll section naturally. That job is about to end as she’s gotten a job in theater as a set decorator. She’s been with only one man in her life, just a few times, and knows she doesn’t love him, though he thinks he can change her mind. Carol Aird is the elegant woman buying a doll for her daughter. She’s in the midst of a divorce and a custody battle for the little girl. The two women take a trip west to get away from all the pressures where their relationship begins to deepen. They also learn that Carol’s husband has a detective following them to catch some dirt so he can get full custody. It begins to cause a few tensions between them, unwilling tensions they fight. An interesting novel that I liked quite well. I always appreciate Highsmith’s voice: assured and in control of even the smallest details. I haven’t read SALT. But just about every other major novel she wrote. THE CRY OF THE OWL (1962) is a favorite of mine. And, looking at her books, I need to buy Nothing That Meets the Eye: The Uncollected Stories. Patricia Highsmith’s work is always interesting. But darkness lurks in every corner. Nice review of THE PRICE OF SALT! I haven’t had the positive experience with her that you have; maybe I just like happy endings. I think this was the first Highsmith I read and I had no idea it was an atypical novel for her. I should read it again now that I have read a lot of her others. It was supposedly the first lesbian novel with a happy ending, and based on a true-life encounter. I tend to prefer her thrillers, but I enjoy her style in everything. I don’t believe I have ever read any of her stuff. Sounds interesting.